Click here for a preview of Module 9 : How to ask questions. The purchase of this manual gives you access to several appendices and other online resources. *To avoid shipping fees, please contact us, and pick up your Manual at our office. 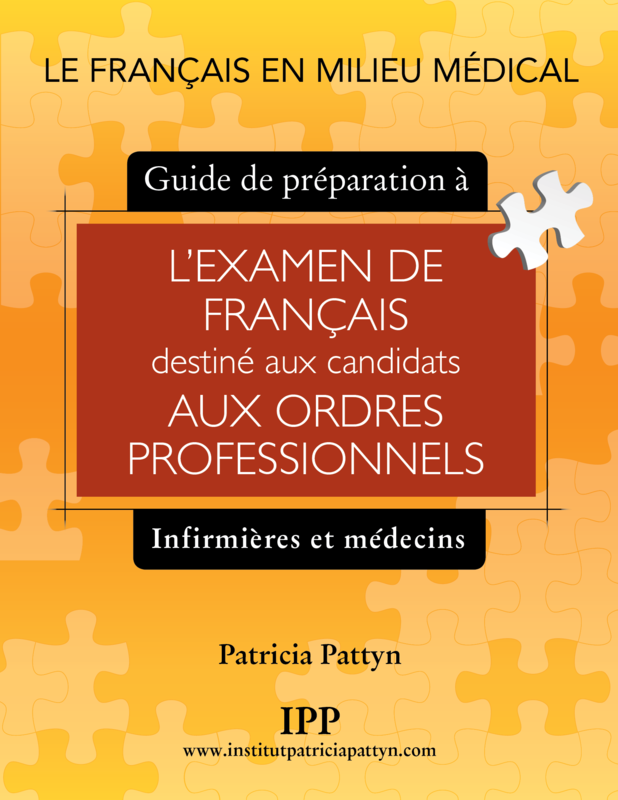 This manual is for nurses and doctors who must pass the French exam as candidates to their professional order, and student nurses, doctors and residents who wish to communicate better in their daily interactions with patients. The 16 modules found in this manual will guide you step-by-step in acquiring the necessary knowledge and competencies. ✓ Basic tenses to be able to report on the current status of a patient as well as their antecedents and medical history, and to make recommendations. ✓ The main rules of subject-verb agreement when speaking or writing. In summary, to succeed with the exam or to communicate clearly with a patient, the message must be clear and precise. No need to make it complicated! The shipping charges shown are the fees for Canada.